Many problems in Neurobiology and the Bioengineering of Neural Systems require transferring sparse information from noisy laboratory observations to models of the complex, nonlinear systems producing the observations. We will discuss this from a Statistical Physics viewpoint and then using several examples, including: (a) completing and validating models of individual neurons using in vitro experiments, (b) determining the characteristics of neuromorphic VLSI chips representing neural behavior, and (c) designing experiments using calibrated neurons as network sensors in vivo to understand functional biological networks. The last item will use the equivalence of the statistical Physics methods to supervised machine learning. An example of sequence learning from birdsong and an example of image classification from insect olfaction will be discussed. 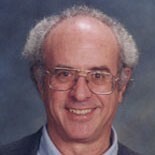 Henry Abarbanel joined UCSD from UC Berkeley in 1983. He served as Director of UCSD’s Institute for Nonlinear Science from 1986-2007, and he presently acts as Associate Director of the Dean’s Agile Center for Engineered Natural Intelligence. His scientific interests are centered in the analysis of nonlinear dynamical systems appearing in physical and biological sciences, summarized in his 1996 monograph on this, and the use of data assimilation as inverse problems, the subject of his 2013 monograph on that subject.